The goal is to pass through their home as respectfully as possible, not only to help maintain a healthy habitat for them, but also to keep ourselves and other hikers safe by preventing the creation of nuisance animals and provoked attacks. Something to keep in mind is most animals you’ll see in the woods are not inherently out to get you. They’re just doing their own everyday thing, but they might try to get you if they think you’re moving in on them, coming too close to them or their young, or are blocking them from getting food or water. Always observe wildlife from a distance. Well what does that mean? You know you’re at a good viewing distance when you can hold your arm out straight, with your thumb up, and you can’t see the animal anymore because it is completely blocked from view by your thumb. Give animals plenty of room while passing. If there is an animal near the trail or in between you and where you want to go, either take a break and see if the animal moves along, or be sure to pass it by giving it plenty of room so it doesn’t think you are approaching it. Don’t block or pollute water sources. Be sure to use the bathroom, wash dishes and yourself at least 200 feet away from all water sources. Not only are there tiny animals and organisms living in there, but other bigger animals drink that water too. Always camp at least 200 feet away from a water source. If an animal knows you’re at their watering hole, they may avoid it which is bad for them! Or they may become aggressive towards you because you’re in their space, which is bad for you! Travel in small groups. 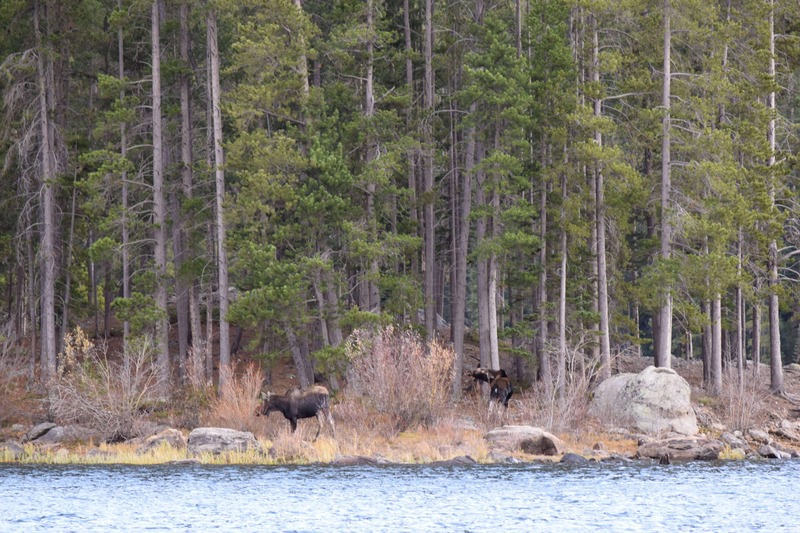 Large groups of hikers and campers can severely disrupt wildlife, usually just by noise alone. But large groups also tend to leave more trash at campsites and cause more lasting damage to an environment than smaller groups. 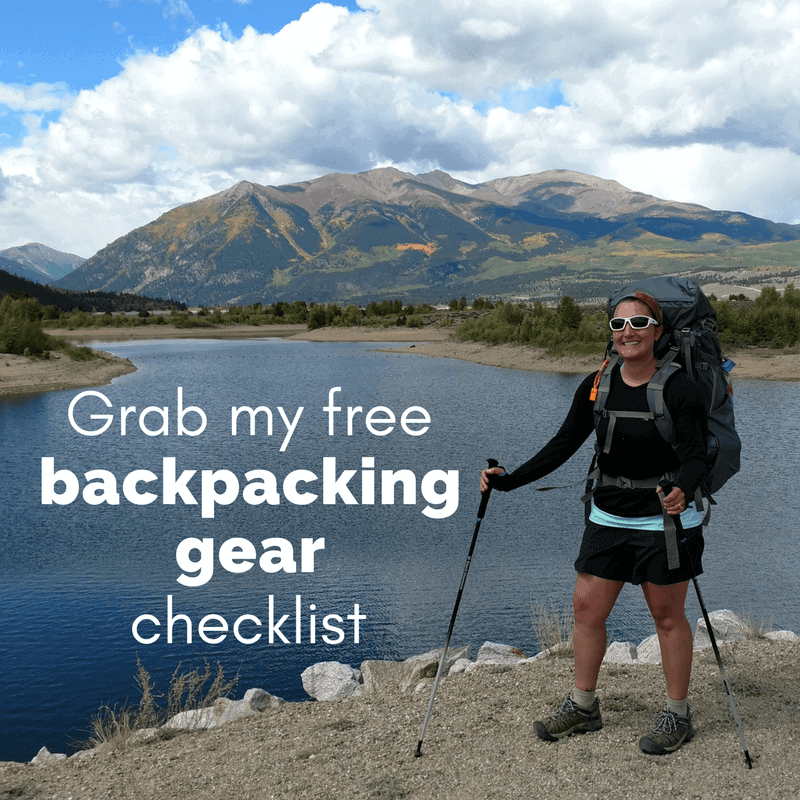 If you have a large group, split up into smaller groups of 3 or 4 when travelling and camping and maybe meet up either halfway or just at the end of your trip for a big group activity or check in. Never feed, touch, or pick up a wild animal – just call a ranger or game warden instead. Enough said on that one. Be bear aware. Know if you are hiking in bear country and plan accordingly. 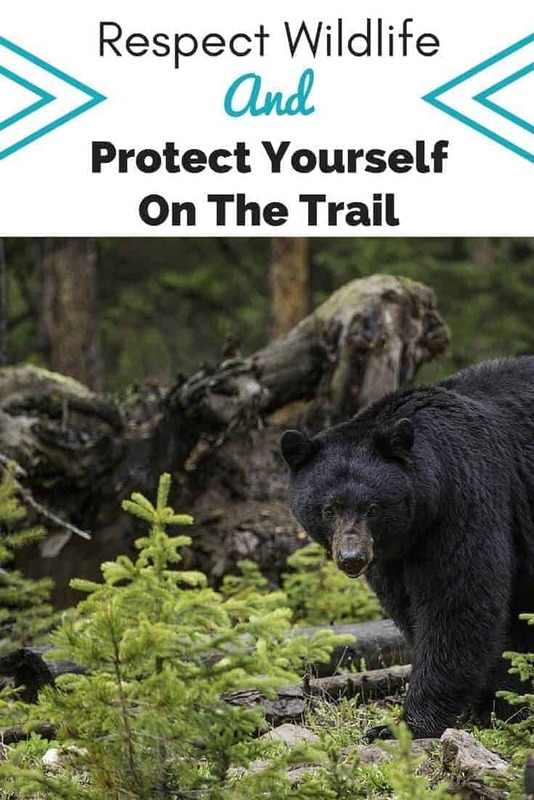 The one time it’s ok to purposefully and aggressively scare away an animal – is if a bear is approaching you or really lurking around your camp. Make noise, shout, sing, bang pots together, appear and act bigger than you are, that should scare away most black bears. Make sure you have a way to either securely hang your food or keep it in a bear canister. Make sure aaaallllll your smelly things (toothepaste, chapstick, dirty dishes, late night snacks) go inside said bear hang or canister. Learn how to hang a bear bag here. Consider carrying a bear bell or bear mace. A bear bell will warn the bears you are coming and probably scare them away before you even see them. But just in case, if a bear charges for some reason, bear mace has been proven to be a very effective deterrent. Don’t spook them or get too close, they can and will charge if they think you are a threat or you are too close. If they do charge, run in between and around trees to try to escape the charge, they aren’t very agile from what I understand. But luckily I’ve never been charged by a moose, so can’t say first hand! I actually started carrying and jingling a bear bell from my pack after solo hiking in Colorado and accidentally spooked a moose that was bed down right next to the trail. I didn’t see him til I was basically right next to him and luckily he ran away from me, and I also ran away from him… all the way back to my car because I was also pretty spooked after getting so close. But the bell lets them know I’m coming now. Watch and listen for them as you hike. Be extra careful around rocky outcroppings on warm summer days where they might be soaking up the sun. Give them plenty of space if passing them on the trail, at least three times their body length, if that gives you a better idea. It never hurts to try to learn to identify some of the common snakes you might see in your area. For example, there are non-venomous snakes that imitate a rattlesnakes rattle to try to scare you and predators away – but they’re not scary at all! It would be nice to know the difference between rattlesnake impersonator and the real thing, right? Tell me about your wildlife encounters in the comments below! He’s luckyyyyy! And that sounds terrifying, haha!